This statistic presents information about the online trolling victimization rate among internet users in the United States as of August 2017. 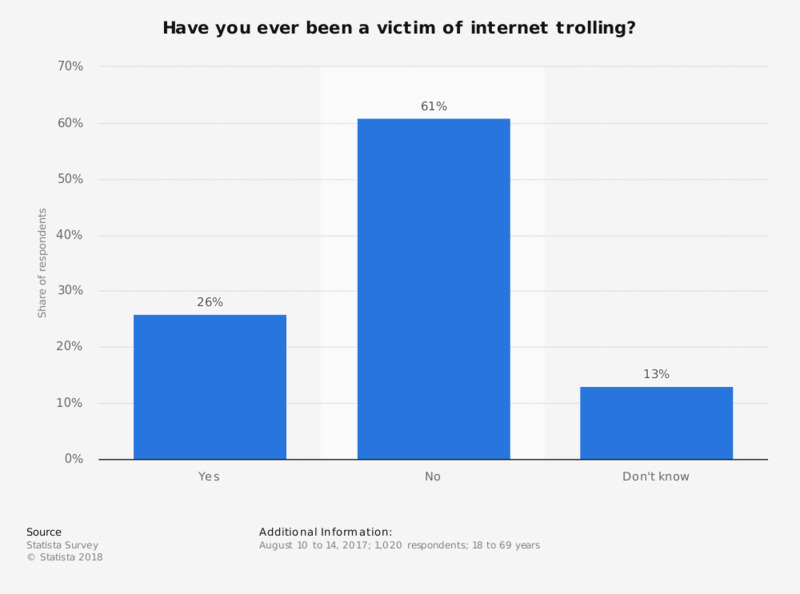 During the survey period, 26 percent of respondents stated that they had been victim of online trolling before. Original question: Have you ever been a victim of internet trolling?